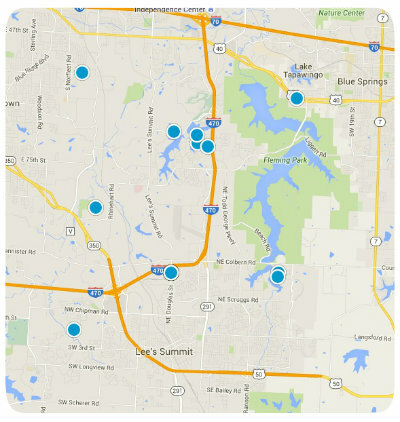 If you are looking to relocate in the Kansas City Metro area, you should carefully consider the diverse real estate options of Lee’s Summit. Lee’s Summit is a remarkable suburb of Kansas City and affords its residents top-notch amenities and a high quality of life. In fact, Lee’s Summit was ranked among the “100 Best Cities to Live in in the United States” by Money Magazine. Lee’s Summit is such a popular destination among prospective homebuyers you might expect real estate to be astronomical, however there are many affordable options in some truly remarkable communities. In southern Lee’s Summit you will find one such neighborhood, Kensington Farms. Kensington Farms is an Inspired Homes’ exclusive community and has family-friendly, affordable homes for sale. Located in the renowned Raymore-Peculiar School District, Kensington Farms is a safe neighborhood and ideal for families, young professionals and retirees. Kensington Farms epitomizes affordable dream homes and is sure to impress even the pickiest of prospective home buyers. Homes for sale in Kensington Farms come in two-story and one-story floor plans. In fact there are six two-story options and three distinct one-story floor plans from which to choose. Homes start at an affordable $198,000 and give buyers the option of adding upgrades. For example, the ranch-style Spencer floor plan has two bedrooms and two bathrooms with a great room and island kitchen. The Spencer starts at $217,000 but has the option of a patio should the buyer desire more space for entertaining. Kensington Farms community amenities include a pool, park, hiking and biking trails. If you would like to buy a home in Kensington Farms of southern Lee’s Summit, Missouri, please do not hesitate to contact us today for more information.